How can the EU lead the way? Enough food is produced worldwide to feed humanity, yet more than 815 million people in the world are undernourished. Since the food price crisis of 2007 and 2008, a number of initiatives and reforms have been implemented. On a global level, the UN Committee on World Food Security (CFS) was reformed in 2009 into a highly legitimate policy forum. At European level, the EU Food Security Policy Framework (FSPF) was adopted in 2010 to address food security challenges in developing countries. What is the vision for global governance for food and nutrition security? How can the EU and its Member States help to improve use of CFS products? 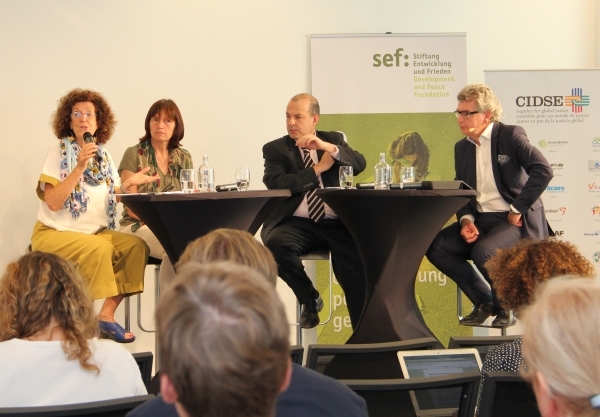 How to ensure that EU priorities in other policy areas – such as trade or the Common Agricultural Policy – can be made more coherent with the European food security policy? sef: and CIDSE – International Alliance of Catholic Development Agencies will debate these questions during a Policy Lunch on the topic of “Global Food Governance. How can the EU lead the way?”.